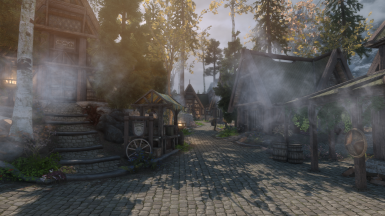 thanks this is the best one I have found so far for whiterun in my opinion. Probably due to the ENB you're using. 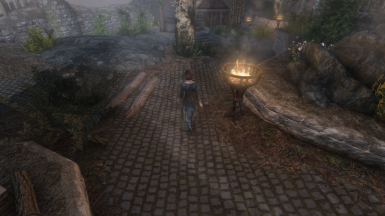 I don't use any ENB (i hate how they look) I do have Obsidian weathers, but even off its dark. 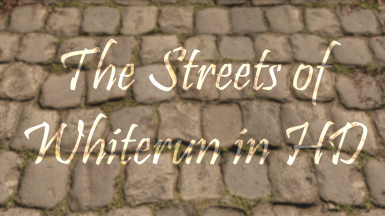 I'm going for a more vanilla look, but want roads in White run preferably light in color to match everything else. 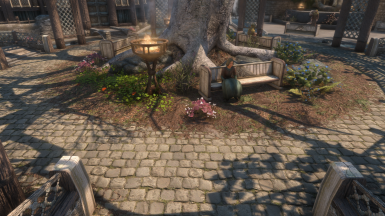 Then the issue is lack of ENB. I also use obsidian weathers. 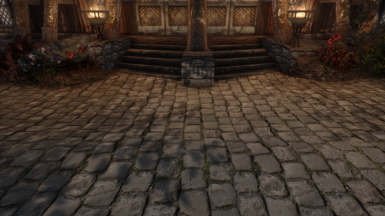 All the textures I make are compatible with ENB. 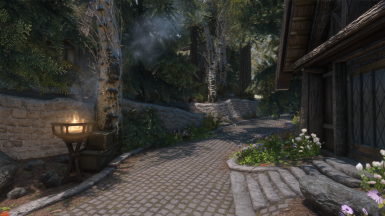 I use my own preset because pretty much all ENBs on nexus are way too dark and high in contrast. You can try out my preset if you want. It's an optional file in my HD Skyrim mod. It has no fps cost. Hope you don't mind I edited the texture for personal use. I've never done any kind of modding, but installed GIMP with a .dds plugin. I noticed the file size of my edited textures are quite a lot bigger than your original I don't know why that is. Compression? What are the _nfiles I never changed those. I feel like an idiot now. I didn't realise the mosier version is way darker. Doesn't need brightening at all, perfect as it is. If I use the mosier version I'll use my brightened up version. Hey CaptMidnightuk. Is it possible to have the texture from your 3rd screen pls ? looks really gud. 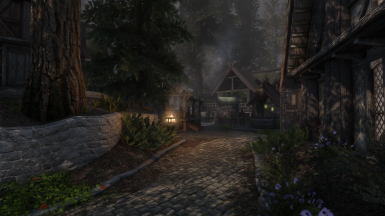 Without enb the mosier version is too dark indeed. would it be possible to get a lighter version of the mossy texture? 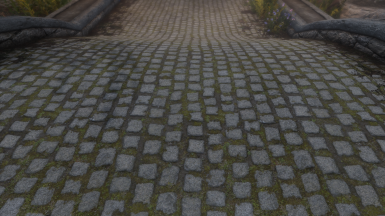 Cant believe that with all my texture mods I've installed, for some reason, none of them edited the streets. I was surprised to see no overwrites after installing this mod. 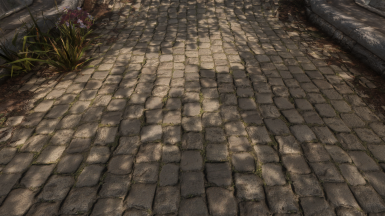 What a difference these textures make! THANK YOU!! I listed the mods I use in the description for whiterun specifically. Aside from the added trees which is something I made for myself. 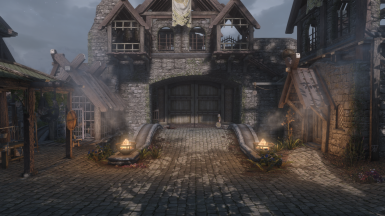 Listed in the description is the exact mods I use for Whiterun. I think he also means the trees and foliage. Yeah hence the "Overhaul" part... overhauls and retextures are two different worlds; textures don't add new meshes or objects. Either way I found it myself. So yeah, not a texture lol. Came in to ask the same. 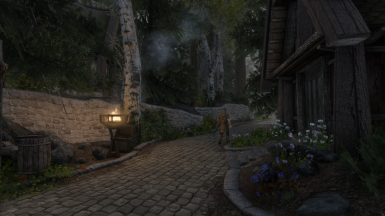 @MystiriousDawn - I would totally download your overhaul of Whiterun, as seen here in the shots, if you released it. 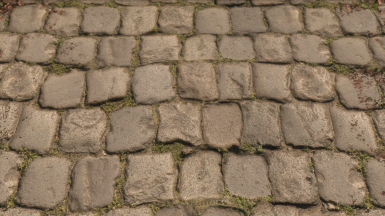 I don't generally use city overhauls, but yours looks perfect to me, and well suited for these nice street textures you've made. 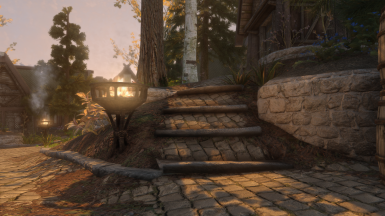 edit: Blends naturally with Skyrim 2017 and Noble textures. Would love to see you treat the other city streets as well. Thanks for your work, well done. 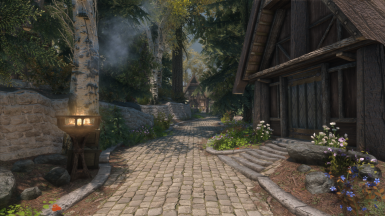 Never made sense to me that a central hub like Whiterun had such 'meh' roads. Thanks for this :) Adds a little something extra without being overbearing or looking out of place.